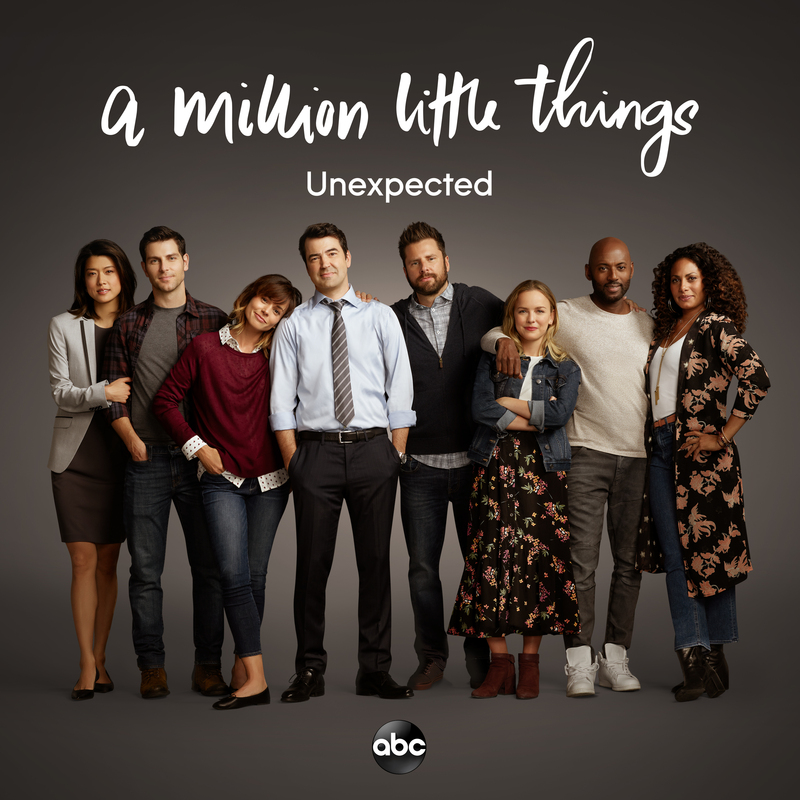 The new hit drama A Million Little Things will feature a new original song created specifically for this week's episode, "Unexpected," which airs WEDNESDAY 10|9c on ABC. The song, also titled "Unexpected," was written by show composer Gabriel Mann, and performed by Mann along with LA-based music songwriter and producer Duvid Swirsky. "I just feel really lucky to have landed in a place where I can utilize all the things that I bring to the table: songs, singing, and score," says Mann. "[T]o be able to have an opportunity to work on something where they need and trust me to do all those things is such a treat, and I'm really thankful to the producers for that." Preview and buy here: "Unexpected" by Duvid Swirsky and Gabriel Mann, from A Million Little Things episode #106. Equally comfortable in drama and comedy, Mann is also the composer on ABC's award-winning hit comedy series MODERN FAMILY, now in its tenth season. He has a very diverse career in the music industry, from producing Sara Bareilles' debut album "Careful Confessions", to touring Europe with Alanis Morissette, as well as releasing music and playing shows with his own alternative rock band, The Rescues. Duvid Swirsky is a LA-based musician, songwriter and producer originally from Israel. He co-founded both the legendary Israeli band MOSHAV and the critically acclaimed folk/pop trio the Distant Cousins. Duvid grew up in a musical village in the hills between Jerusalem and Tel Aviv, performing at an early age with Rabbi Shlomo Carlebach. "When we were growing up, the only electrical appliance in the house was a record player. So, while other kids might be growing up watching television and playing video games, we were listening to the records our parents brought with them - Bob Dylan, Van Morrison and Neil Young." Duvid eventually moved to Los Angeles and leapt head first into the vibrant Los Angeles music scene. He's now preparing the release of the debut Distant Cousins album, Next of Kin.